I’m pleased to present a new service which offers added depth to the Personal Symbala experience. Many people have expressed the desire to have some kind of interpretation along with their unique Personal Symbala. This is now available for the first time in the form of guided dialogues with either one of my associates, Arlene Arnold or Peggy Smith. They are eminently qualified, both as longtime counselors/therapists and women with awareness and appreciation of the value of Symbalas as a tool for inner growth. Here is a link to this new page on the website: Personal Symbala Dialogues. There is also a link to this new page from the Personal Symbala Gallery. Another good reason to invest in yourself with a Personal Symbala! 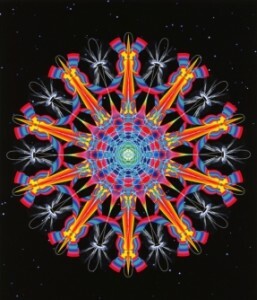 First of all, when I start to draw a Symbala (any Symbala) I set the stage with the energy of my intention to create a mandala imbued with love and the interconnectedness of all things. That’s where the power of the Golden Proportion (or PHI) comes in. I work with that proportion in all my Symbalas. 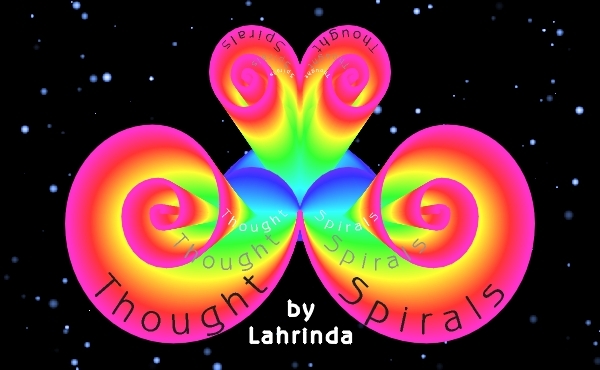 The golden thread of PHI is a spiral frequency growing infinitely larger and smaller and transcending all dimensions to give coherence and total interconnection to all vibrational realities. So while you are contemplating a Symbala, you are literally training your perceptions to an awareness of simultaneous dimensional reality or being totally in the NOW. There are 3 main ways to work with these tools (and keep in mind these are TOOLS for focusing your attention and intention, the power of creation is within you, not something outside). The first way is through contemplation or meditation, as described above. When you view a Symbala, try soft-focusing your eyes. Also, experiment with them in different levels of light and from varying distances and angles. They are definite shape-shifters which increases your awareness of simultaneous dimensions. The second way is with specific intention for a process, say working with an imbalance in your body or health, or for someone else (with their permission). This can be done by placing the Symbala directly on the body or from a distance (energy and intention know no boundaries). The Symbala Water Imprints, the small size sold in sets of 8, are particularly useful for this type of work because they were published on special paper using special inks so they are waterproof and very flexible. Regular Symbala prints are more fragile and need to be protected from water, constant direct sunlight and bending. Remember, they are not magic, they are focusing tools for the magic within. The third way has to do with the energy available through them because of the combined forces of intention, the Golden Proportion, the colors and the symbolic circular symmetry. Therefore, they can be used in your environment for inspiration and beautification, but remember, they are never passive, they have a frequency impact. I hope this has been helpful for your expanded use and appreciation of your Symbala tools. The gestation period is over and the butterfly emerges from her cocoon, wet and willing to begin a whole new stage of life. As the butterfly dries and spreads her wings, a thing of rare beauty appears. That is how this new website feels to me and it is my joyful intention to share it with you. Just as the transformation of the caterpillar into a butterfly is all-encompassing, so these last 2 months have been for me, as well. Today, October 6th, 2009, it’s official! The website is now SymbalaWorld.com. My email also reflects this change as you will see when I respond to your emails. Don’t worry though, Creative Health links and email will be rerouted to the new locations automatically. To complete the transformation, I also moved to a new home at the end of August! So I have a new address, as well, although I kept my same phone number and am still available on Skype as before. The Symbala World changes emerged because of a specific catalyst by the name of Michael Gribbin. He came aboard as a collaborator, co-creator and techno-genius making this new Blog-formatted website possible. You can appreciate the energies of this longtime friend in the Featured Symbala Archive where his Symbala was presented last month, September 2009. He is also part of my Special Associates Gallery. My appreciation of his talents and friendship are boundless! Speaking of the Featured Symbala Archive, please pay a visit. You will be amazed and pleased by the formatting which makes it at once easier for browsing and astonishing for the eye. As a matter of note, one of the big improvements of the new website is easier navigation and less confusion. At least, that was our intention. As with all new endeavors, we are still improving and changing so your comments and suggestions would be so very welcome and appreciated. 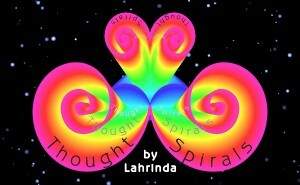 Posted by Lahrinda in Symbala Stuff,What's New	Comments Off on Symbala World Emerges!